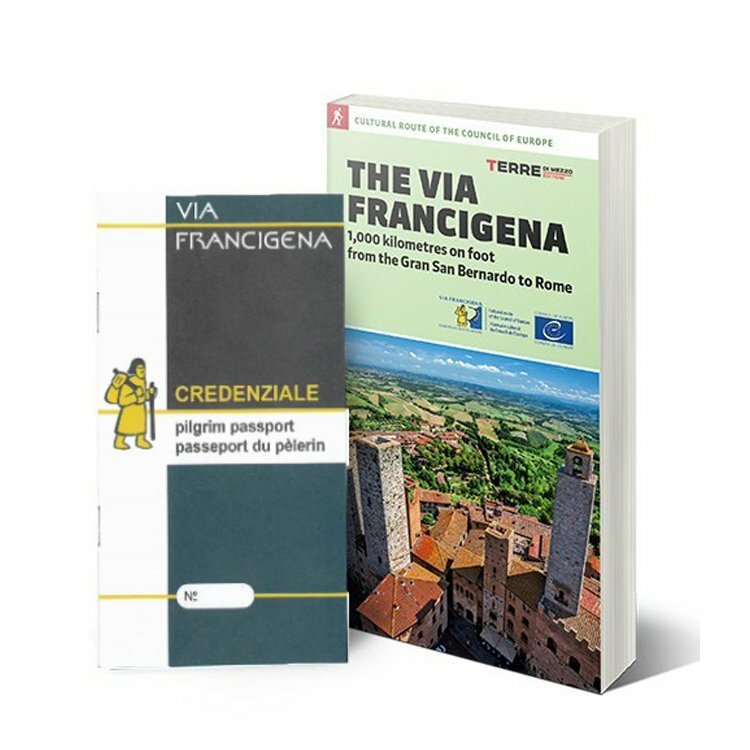 The complete itinerary of the Italian Via Francigena, from Grand St. Bernard to Rome. A 50-days trip (that can be cut on request of course!) that will make you appreciate with calm and slowness the extraordinary variety of our country. Every stage ends in an artistic or historical town, rich in historical testimonies. Arriving in San Gimignano, Sutri, Pontremoli after a walking day is not the same as getting there by car: walking and cycling in these landscapes is really the added value of this itinerary. Enjoy the hours immersed in nature treading ancient stone paved paths, the same stones used by by millions of pilgrims since the Middle Age. 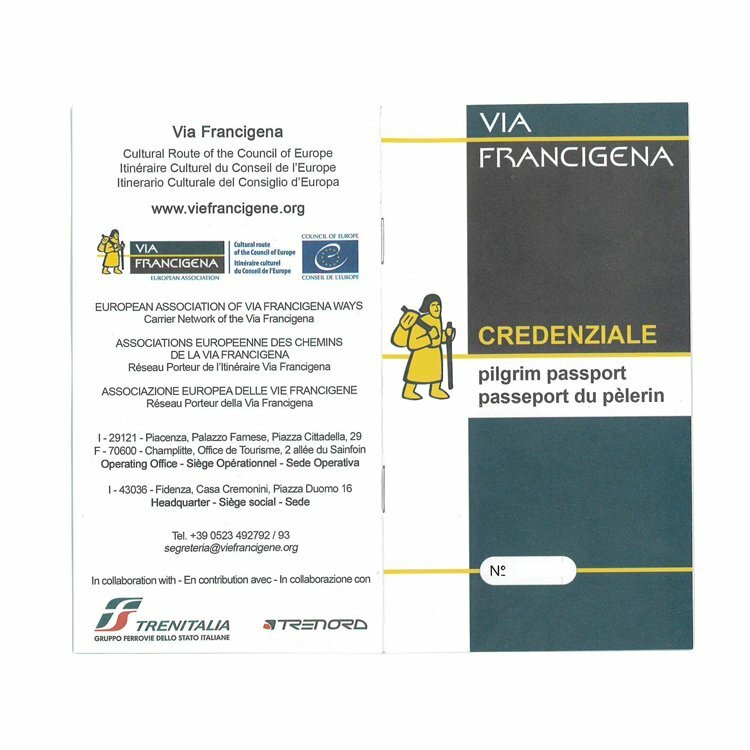 SloWays knows Via Francigena well, because for years we have been active in the preservation, marking and mapping of this route. We know the right places where to stop, visit the surroundings and relax, the hidden artistic gems that are worth exploring. The journey starts in Col Grand St. Bernard. If you arrive early, take a walk around and enjoy this particular fascinating village full of history. Feel the pilgrims’ passage live the atmosphere with its typical ancient architecture like the ancient restored water mill. From the San Bernardo Pass you arrive in Italy and continue on to the nice village of Etroubles, walking along the Via Francigena official route. The itinerary is on secondary trails rich in evocative landscapes with its small villages and the ancient avalanche shelter system. Some points could be a bit steep, but there are a couple of possible alternatives to do. Today you depart Etroubles to reach Aosta, where the pilgrims could worship Saint’Orso and Saint Grato’s relics (nowadays they are patron of the whole Val d’Aosta). The walk promises a deep experience along the mountains, crossing meadows and pinewoods. Meet old refuges, the chapel used by the pilgrims, and follow the ancient stream “Ru Neuf”. As the last part is on a descent path, it is possible to take a bus from Verrailes to Aosta. The route winds among castles and vineyards. You will flank the fine Quart castle, with its chapel dedicated to the local saint, Emerico. Along the approaching road you will be able to touch the semi-spherical engravings made in the rock by prehistoric men, the Coppelle, trying to imagine what they were used for, still surrounded by mystery. You will walk for a long way alongside the Rus, ancient artificial canals which still water the crops on the mountainsides of the Valle d'Aosta. Between one vineyard and another, we recommend a stop at the Crotta de Vegneron at Chambave, a temple consecrated to the wines of the Valle d’Aosta. Once you arrive in Saint Vincent, you will be able to stop for a reinvigorating rest at the spa. From Saint Vincent you will continue along the left side of the Valley, meeting along your way the very fine Saint Germain castle: you can admire its Mezzogiorno towerfrom under the impressive medieval walls, once a formidable defence tower belonging to the De Mongioveto family which dominated the valley. From here you will travel along a short section of the ancient strada delle Gallie, before being enchanted by the splendid itineraries offered by the route as far as Verrès, which climbs up the side of the mountain. If you like castles, we recommend a visit of Issogne. Today a brief journey in a time machine awaits you: at Arnad you will be able to emerge yourselves in the part of medieval pilgrims walking through the naves of the parish church of San Martino, before crossing the ancient Enchallod bridge. Or you can have fun looking for the tracks of Roman carriages in the stones of the ancient road of the Gauls, which will surprise you with a still perfectly preserved section leading to the gates of Donnas. If you like more recent history, visit Bard fort with its Museum of the Alps. The alpine scenery gives way to the gentle Piedmont hills, among characteristic villages and sections surrounded by nature. Today’s destination point is Ivrea: the old town centre will delight you with its fine castle and tall tower of Santo Stefano, but do not miss a walk through an open-air museum of modern architecture. For the gourmands, we recommend a break to taste the Novecento cake, a chocolate cake whose recipe is jealously guarded by the town’s pastry-makers. From Camaiore you will continue up and down among the hills of Lucca, before descending to the valley of the Contesola torrent and crossing the river Serchio. So, you will arrive in Lucca, the end of your journey; enter through the walls and surround yourselves in its old town centre, where many attractions await you. You will be able to admire the decorated façade of San Frediano, browse in the little shops of the circular piazza to buy spelt and local biscuits to take home with you, conquer the Guinigi towerand admire the town from up high in its hanging garden. The Hotel Excelsior enjoys a central location, in the Railway Station Square, just a short walk from the historical centre of Pavia. Rooms are clean and spacious, but old-fashioned. Breakfast is normal and varied. The Astoria Hotel is housed in the center of Fidenza, close to the train station. Staff is kind and helpful. Location is clean and comfortable . Rooms are quiet and equipped of air conditioning, TV, free WiFi and direct phone. Breakfast is rich and varied. The Rosset family, a noble dynasty whose forefather was Jean-Pantaléon , has been living in Nus (Aosta Valley) since the beginning of the eighteenth century, in the buildings he had built: his owner house and the farmhouse. The new building consists of four double en-suite rooms, a single room, a three-bed room with living room and are well-equipped with tv set, private service. Hotel Napoleon*** is centrally located in Pontremoli. Rooms are cozy, clean and furnished in a vintage style. These offer free Wifi, TV, direct dial telephone, air conditioning and some rooms have a balcony. Comfortable hotel under new management. Located a few steps from the Casino de la Vallée in a strategic position to reach the resort and the most popular tourist attractions in Valle d'Aosta. Rooms are furnished in a simple way and have TV, WiFi coverage, bathroom with shower and hairdryer. Some of these have a balcony with mountain views. This hotel is a family business in the small town of Vetralla, 12 km south of Viterbo. Rooms are basic and simple with private bathroom, TV, free Wifi, air conditioning, but not well soundproofed. Staff is not very much present and breakfast is normal. Hotel Crabun*** is situated along the ancient pilgrimage route of Via Francigena in Pont Saint Martin. Decorated with warm colours and wood furniture, rooms at Hotel Crabun are classically furnished, and come with either carpeted or wood floors. They all have a balcony and satellite TV channels.